The Florida Department of Agriculture and Consumer Services (the Department) issues licenses to carry concealed weapons or concealed firearms in the State of Florida and they are good for 7 years. Concealed weapons or concealed firearms are defined as a handgun, electronic weapon or device, tear gas gun, knife, or billie, but does not include a machine gun. You must carry the license at all times you have possession of the weapon or firearm and must display the license and valid I.D. upon demand by a law enforcement officer or be assessed a $25 fine for a violation. According to section 790.06, Florida Statutes, the Department shall deny a license if the applicant has been found guilty of, had adjudication of guilt withheld for, or had imposition of sentence suspended for one or more crimes of violence constituting a misdemeanor, unless 3 years have elapsed since probation or any other conditions set by the court have been fulfilled or the record has been sealed or expunged. The Department shall revoke a license if the licensee has been found guilty of, had adjudication of guilt withheld for, or had imposition of sentence suspended for one or more crimes of violence within the preceding 3 years. The Department shall, upon notification by a law enforcement agency, a court, or the Florida Department of Law Enforcement (FDLE) and subsequent written verification, suspend a license or the processing of an application for a license if the licensee or applicant is arrested or formally charged with a crime that would disqualify such person from having a license until final disposition of the case. 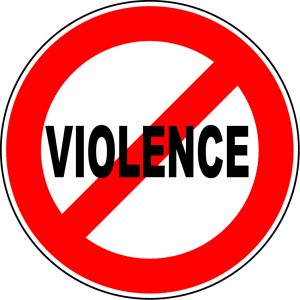 The Department shall suspend a license or the processing of an application for a license if the licensee or applicant is issued an injunction that restrains the licensee or applicant from committing acts of domestic violence or acts of repeat violence. The sports world was rocked when journalist Brett McMurphy recently published an article about Ohio State former assistant coach Zach Smith and domestic violence with his wife, Courtney Smith. 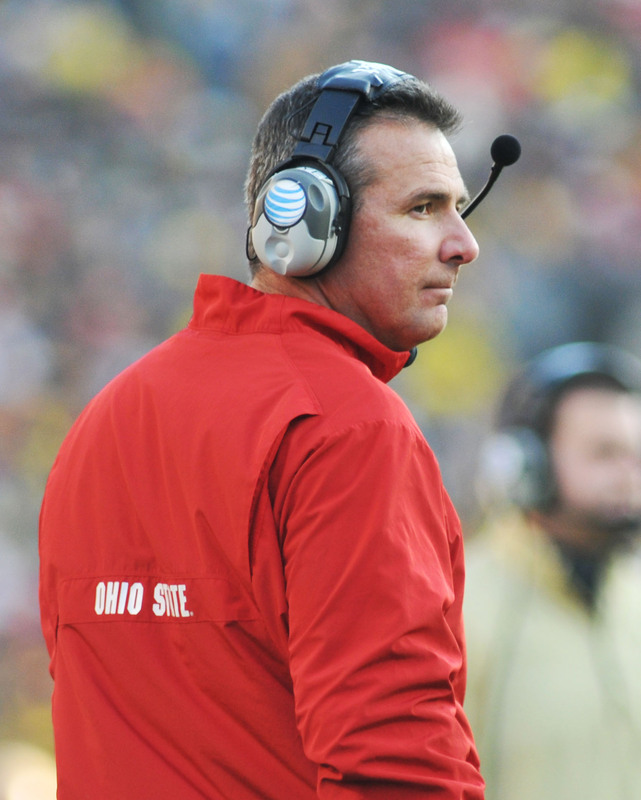 Despite indications that Head Coach Urban Meyer knew about the abuse between the Smiths, Meyer denied knowledge of the 2015 incident between them in a Big Ten media days press conference. Apparently, Zach Smith was arrested in 2009 on suspicion of aggravated battery against his pregnant wife in Florida when Meyer was coaching at the University of Florida. Meyer knew of the 2009 incident and hired him to be Ohio State’s wide receivers coach anyway. Zach Smith was then charged with criminal trespassing in May 2018 at his now ex-wife’s home and his ex-wife was granted a protective order. There were nine police reports involving the Smiths between 2012 and 2018. The story with Urban Meyer has yet to play out—but it is agreed Zach Smith has a serious issue with domestic violence. If you are accused of domestic violence in Florida, the number one thing you must remember is to REMAIN SILENT. Ask for an attorney and do not give any statement to police, written or otherwise. Also remember that you cannot contact the victim! There may be protective orders in place and anything you say or do to the victim can be used against you. It is difficult when there are children involved but contact your lawyer for advice on how to deal with timesharing. Courts treat domestic violence very seriously and you can find yourself in jail for quite a while if you are not careful to follow orders in place. As in Zach Smith’s case, you could find yourself with additional charges like trespassing and stalking. Under Florida law, Domestic Violence Battery is defined as any actual and intentional touching or striking of another person without consent, or the intentional causing of bodily harm to another person, when the person struck is a family or household member. Penalties can include up to one year in jail or 12 months probation and up to a $1,000.00 fine. You may also face completion of a 26 week Batterer’s Intervention Program (BIP), additional community service hours, loss of concealed carry rights, and 5 days required jail if you are adjudicated guilty and there is bodily injury. Are you living in Jacksonville and being affected by a stalker? Do you want a court order to stop the stalker? Continue reading to find out how to file an Injunction for Protection Against Stalking to protect you or your child! It can be a very scary experience to be the victim of a stalker, especially if it is someone you know and trusted. 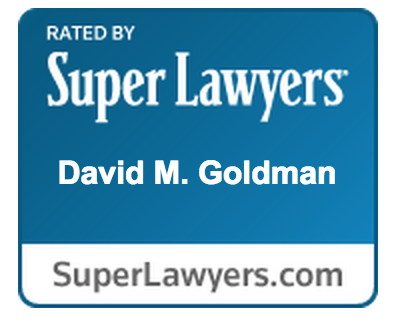 There are steps that you can take to protect yourself under the law in Florida that will help give you peace of mind. Florida Statutes section 784.0485 provides for a cause of action for an injunction for protection against stalking, including cyberstalking. A stalking injunction can be filed on your behalf or on the behalf of a minor child if you are the parent or legal guardian of the child and the child is living with you. Last month, a Florida woman was arrested for Domestic Battery when she attached her husband… for passing gas in bed. 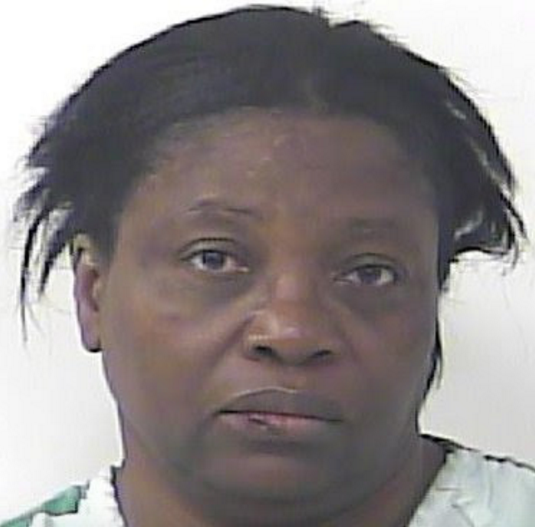 According to huffingtonpost.com, a Florida woman was so offended by her husband passing gas during the wee hours of the morning, that she elbowed him and then, literally “kicked him out” of bed. The husband waited for things to calm down a bit before returning to bed. A second gas-passing episode landed him in more hot water and resulted in more elbows and kicking. The police were eventually called, and the wife, 55 year old Dawn Meikle was arrested. Although no injuries were reported in this incident, Florida criminal defense lawyers can tell you that domestic violence is taken very seriously. Florida Statute 741.28 defines domestic violence as “any assault, aggravated assault, battery, aggravated battery, sexual assault, sexual battery, stalking, aggravated stalking, kidnapping, false imprisonment, or any criminal offense resulting in physical injury or death of one family or household member by another family or household member.” In my experience as a Jacksonville criminal defense lawyer, the vast majority of domestic violence incidents are of the misdemeanor variety. They involve minor or no injuries, and are normally between couples. Domestic violence can occur between brothers and sisters, parents and children, or between any other household members living together as a family. Obviously, the incidents are sometimes more serious. A similar story to this one, also out of Florida, involved a woman throwing a kitchen knife at her boyfriend when he passed gas while standing in front of her. I’ve conjured some pretty rancid gas in my day, but I’ve never been attached for it. I have been yelled at and given the evil eye though. Violation of injunction for protection against domestic violence is a crime under Florida statute 731.32(4)(a). For some, it seems ridiculous that an act as harmless as sending flowers or a text message could result in a person being arrested. However, this is the reality under Florida law, if there has been a valid injunction for protection against domestic violence put into place. Ordinarily, these protective orders have language that orders one person not to contact or come near another person. As a Jacksonville lawyer, I’ve advocated on behalf of clients needing protection and on behalf of clients seeking to avoid an injunction against them. In some cases, the injunction was probably needed, while in other cases- not so much. If there is an injunction entered against you, whether you believe it is valid or not, you should follow the judge’s order not to contact the other person. Violation of an injunction for protection is a first degree misdemeanor, punishable by up to one year in jail or by probation up to one year. First degree misdemeanor criminal offenses, as here with injunction violations, can also be punished by fine. The person who asks for or petitions the court for an injunction is called the petitioner. While the person who responds to the petition is called the respondent. Often, the respondent will be served with the initial temporary injunction and violate it immediately by calling or contacting the petitioner to find out what is going on. The temporary injunction is valid until a court has the ability to hear evidence and testimony from both sides. The testimony and evidence will be presented at a hearing. Based on the information provided, the judge will make a decision on whether the temporary injunction should be continued and made permanent or not. Father Beats Daughter’s Boyfriend with Baseball Bat: Aggravated Battery or Justified Defense of Others? When Jimmy Morris discovered that his daughter’s boyfriend had beaten her bloody in front of her children, Mr, Morris took matters into his own hands before police arrived. Witnesses who were present at the scene reported that Morris took a baseball bat from his truck and hit his daughter’s abusive boyfriend with enough force to crack the bat. Top Jacksonville criminal defense lawyers immediately begin to think of ways to defend against potential aggravated battery charges after hearing the facts in this case. Morris’ best hope of a legal defense lies in the principle of self defense, which includes defense of others, being applied to Morris’ case. So what is the likelihood that Morris could be saved by the principles of self defense? Under Florida law, a battery is simply a harmful or offensive touching of another; this offense is a misdemeanor that is punishable by up to one (1) year in jail. Section 784.045 elevates a simple battery offense up to aggravated battery when great harm is done to the victim, when the victim is permanently disfigured or disabled, or when the defendant uses a deadly weapon; aggravated battery is a second degree that can land a defendant in prison for up to fifteen (15) years. 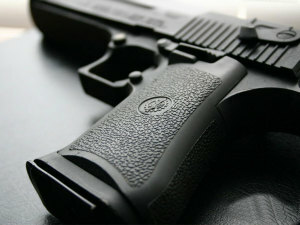 Whether an object is a deadly weapon depends on the way that it is used. Taking a bat to an individual’s head is absolutely enough to qualify the bat as a deadly weapon. Domestic violence injunctions are serious business. Having an injunction issued against you limits your rights in certain areas. It limits the freedom to go certain places, it limits the freedom to possess firearms, and it creates criminal liability for violating the injunction. Florida Statute 741.30 governs the circuit court’s injunction powers in regard to Domestic Violence. The statute is designed to make seeking a protective order an easy endeavor. As a Jacksonville criminal defense and family law attorney, I’ve defended people in proceedings to have injunctions put in place, and I’ve also represented people seeking the protection of a domestic violence injunction. A common occurrence is that people are [understandably] highly emotional immediately after whatever incident led her [or him] to seek a domestic violence injunction, and he or she is adamant about having the protection in place. However, time has a way of healing wounds. The anger slips away, but now there is a court order that says that Boyfriend can’t come near Girlfriend or contact her for the next year [or maybe even permanently]. These situations can happen in both directions, but the most common scenario in my experience is that the woman is seeking protection from the man. The thing about the injunctions are that they don’t tell Girlfriend that she is to stay away from Boyfriend; in most instances, it’s a one-way street. Boyfriend must stay away from and can’t contact Girlfriend, even if she says that it’s okay, because the judge said, “DON’T DO IT!” So what happens? Well, Boyfriend [thinking the coast is clear] accepts an invitation from Girlfriend to come by and spend time with her. Things are great, until there is a disagreement about something, usually some trivial and incredibly unimportant thing. By the way, while things were great, Boyfriend and Girlfriend called and texted each other ALL the time. So, after there is a falling out, she has plenty of proof that he’s violated the injunction, which is a crime.